NADINE: The storm that just won’t quit! 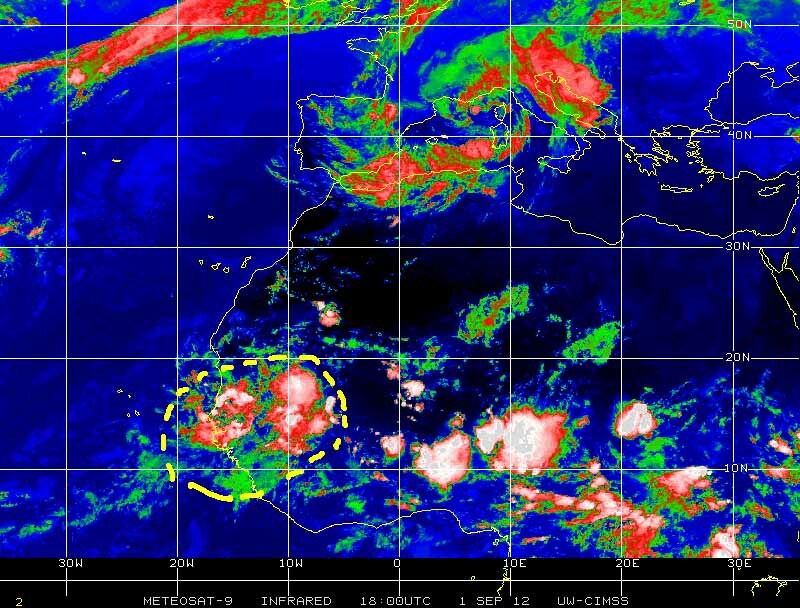 Just about a month ago, on 1 September 2012, one of several large tropical waves generated by the tropical wave assembly line over Equatorial Africa approached the western coast of Africa to emerge the next day over the warm waters of the eastern Atlantic, to the south of the Cape Verde Islands. 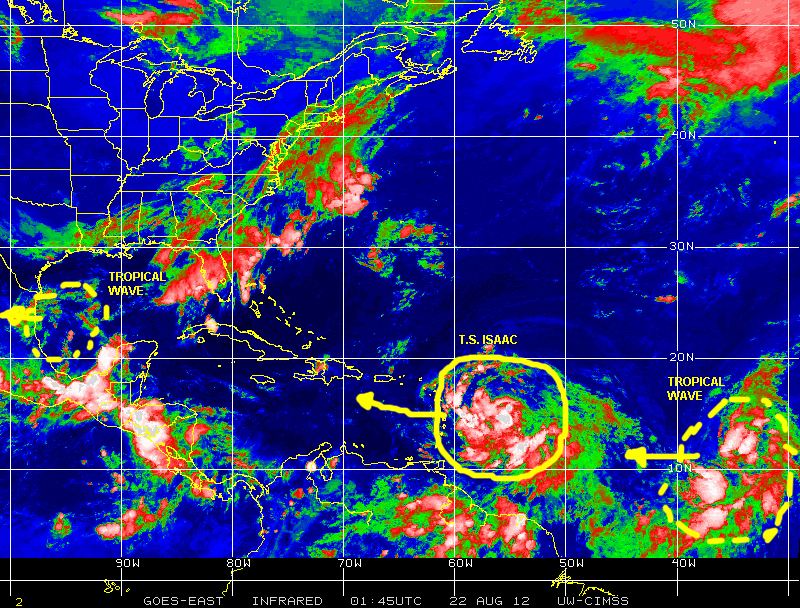 A few days later, on 10 September 2012, this particular tropical wave became Tropical Depression #14 of the 2012 Atlantic Hurricane season, as it traveled along the northern fringe of Hurricane alley. Soon thereafter, on 12 September 2012, T.D. 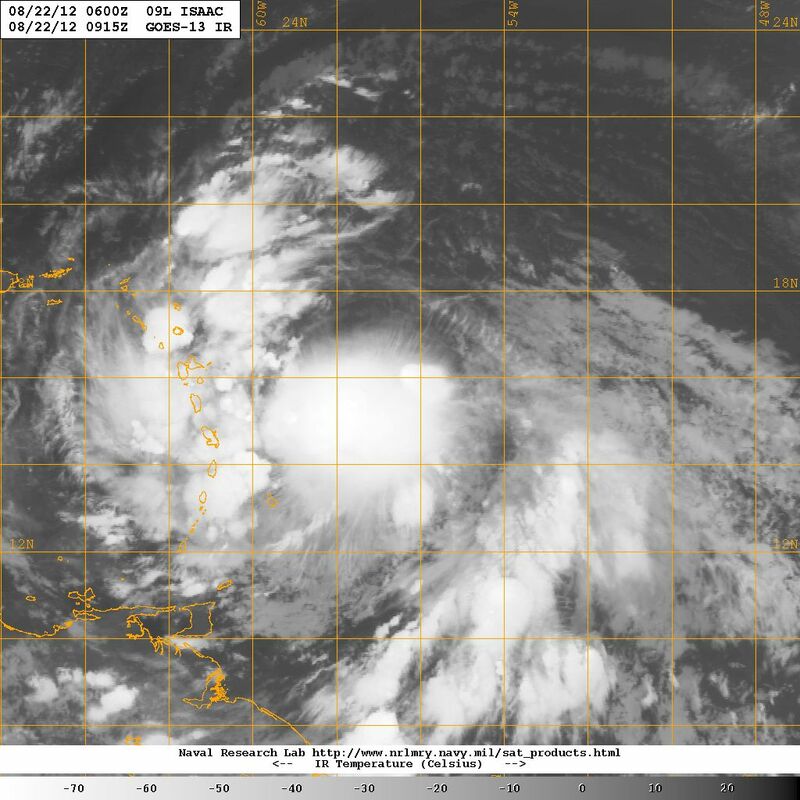 #14 strengthened and became the 14th named tropical cyclone of the season as Tropical Storm Nadine. Initially Nadine tracked WNW in the general direction of the Virgin Islands, but it soon began to be steered first toward the NW and then more toward the north, as the system encountered the same atmospheric regime that had interacted with its predecessors, tropical cyclones Joyce, Kirk, Leslie and Michael, and before that short-lived Gordon. Soon a strengthening Nadine appeared to be aiming for Bermuda only to continue a sweeping arch over the central Atlantic to take aim toward the northeast and the Azores Islands. During the course of this maneuver Nadine became a hurricane. It is dizzying just trying to describe the exceedingly convoluted track tropical cyclone Nadine has followed up to today 30 September 2012, when it is yet again a hurricane (for the third time! 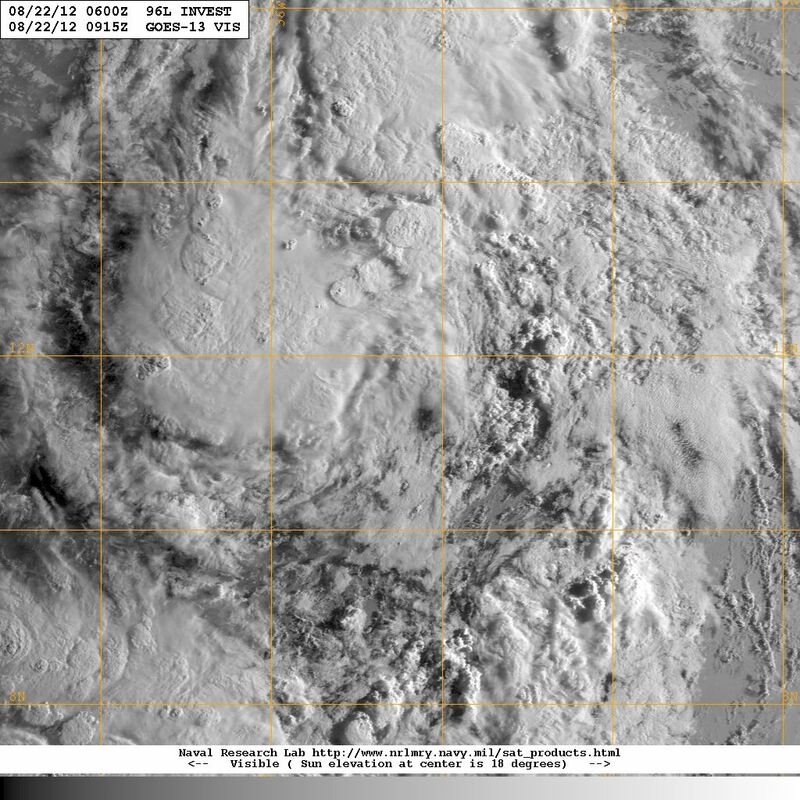 ), and continues to meander in the neighborhood of the Azores with no signs of letting off any time soon three weeks after being generated back in ‘hurricane alley’. 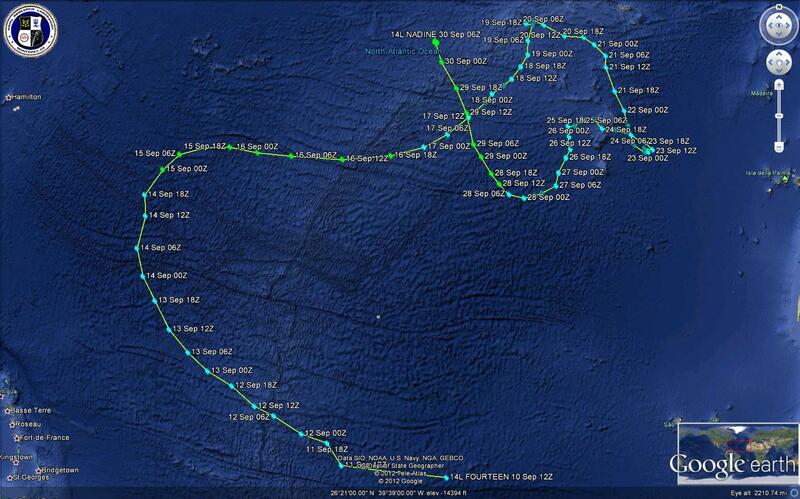 Although Nadine has been active over open waters without having had much of an impact over land areas, despite having affected the Azores, Madeira and the Canary Islands albeit from a distance, it is clear we are witnessing quite an extraordinary storm both in terms of longevity and the track it has followed since it emerged over the eastern Atlantic as one more tropical wave. Adding to this qualification of ‘extraordinary’ is the fact that NADINE has become a hurricane for the third time since its genesis even as it tracks over a region of the Atlantic Ocean with much cooler surface waters. 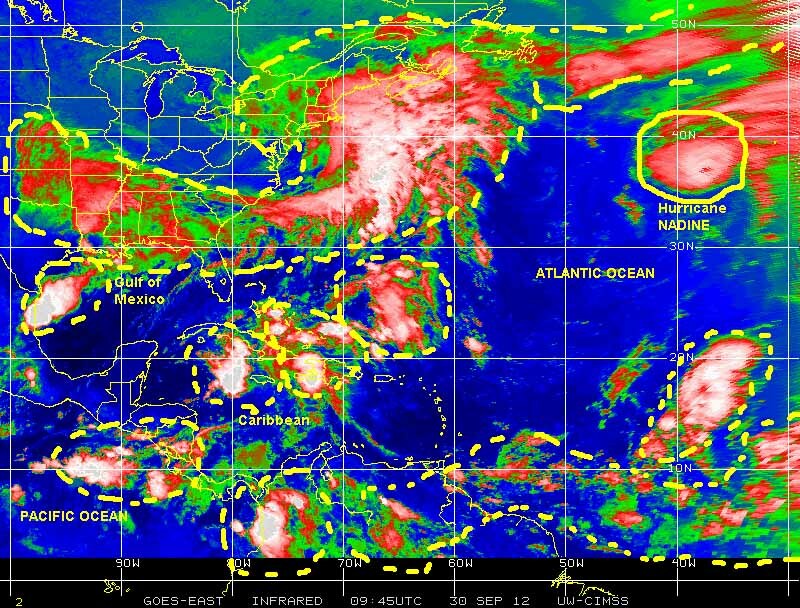 What else is happening in the tropical northern hemisphere, while we continue tracking Nadine? Over in the eastern Pacific the remains on what once was major hurricane (category 3) Hurricane Miriam is now a decaying low pressure system with sustained 30 kph winds some 1,100 km west of Puerto Vallarta, Mexico. To the north of that we have the remains of Tropical Storm Norman, the 14th named tropical cyclone of the season in that basin, now down to tropical depression status and weakening rapidly overland the Baja California peninsula some 100 km north of the town of San Marcos. 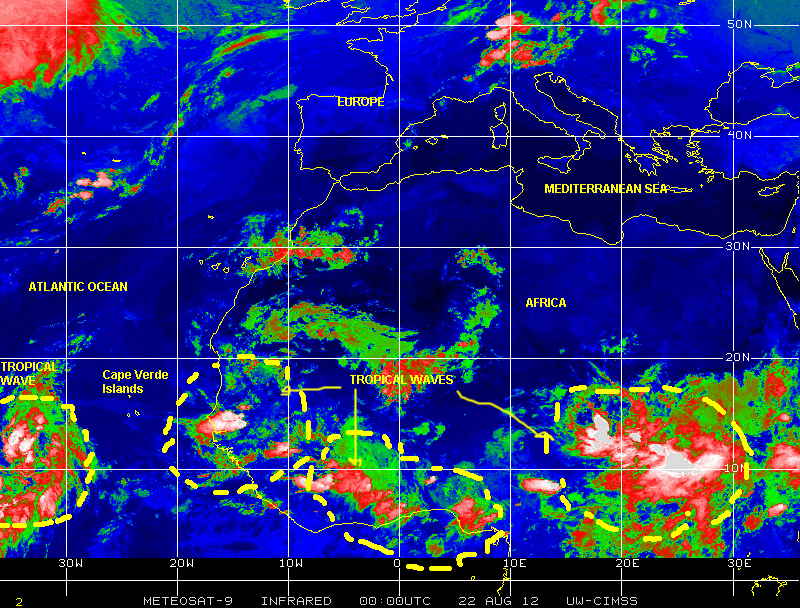 Beyond this the only tropical activity in that region is in the form of a couple of tropical waves or areas of stormy weather over the Pacific waters off the coast of central America and Panama. At the other extreme of the ocean over the Western Pacific, a region that has seen plenty of tropical cyclone activity over the last four months, also on 30 September Tropical depression #20 has generated and is strengthening while moving generally NNW some 500 km to the northeast of Guam. Then, there is a weakening Tropical Storm EWINIAR some 1,000 km east of the island of Hokkaido in Japan moving toward the NNE away from land. 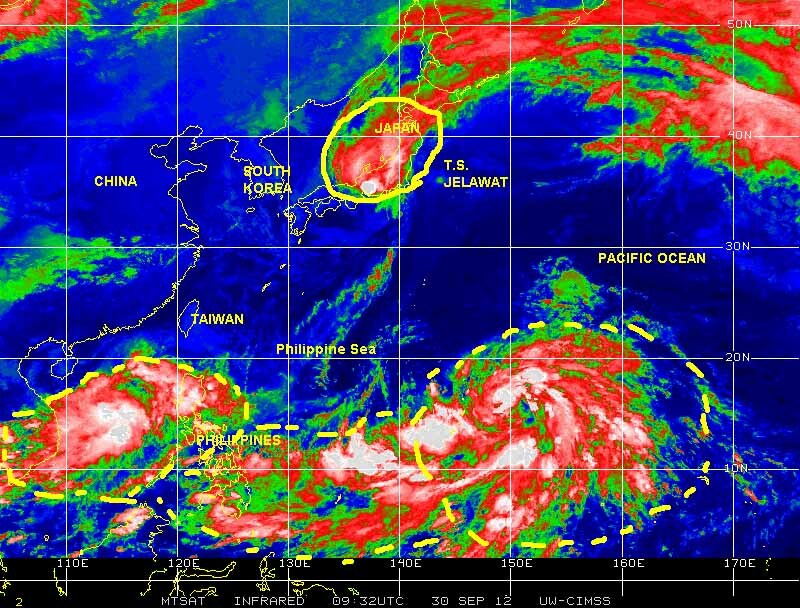 There is also a third active cyclone, a still strong Tropical Storm Jelawat, which is now overland Honshu the main island of Japan some 200 km west of Tokyo with the potential for causing some damage as it interacts with mountainous terrain and generates considerable amounts of rain as it continues to move toward the most densely populated urban area in the world. Closer to our neck-of-the-woods here in Florida there are numerous disturbed weather cells and storms along ‘hurricane alley’, in the central Caribbean, in the Gulf of Mexico, over the Atlantic, and a large storm system reaching from Texas to the northeastern USA. So, in addition to the possibility of some bad weather coming our way, there is always the potential for cyclonic activity to develop in the larger basin, especially considering there are still a couple of months left in the ‘official; 2012 Atlantic hurricane season. While we wait and see what develops in the various basins mentioned here, it is important for all of us to remember to pay attention, to be prepared and above all to keep practicing Mitigation!